There are many things you can do to make your trip easier. Many of them will save your time, money, stress and make your flight enjoyable. Check out this list of tricks and tips you can use when you travel by air, as suggested on Quora. 1 – Sign up for TSA PreCheck. TSA (Transportation Security Administration) can make your check-in period longer. But using the risk-based screening program you can pay a fee and speed up the process as they can verify you as a low-risk traveler. 2 – Sign up for Global Entry. If you fly internationally, this is a program designed to speed up Customs and Border Control screening. 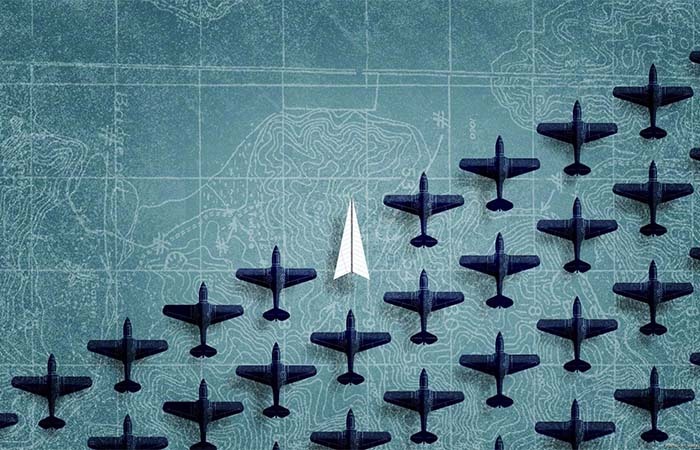 3 – See what airline best suits your needs and travel with it as often as possible. This can be useful when you travel frequently and the airline provides premium service. 4 – Get premium status with your airline company. Airline points can bring you free foods and drinks, lounge access, free checked bags, special amenity kits, and many more. 5 – Sign up for rewards programs. If you are a frequent flyer you should maximize the use of additional services the airline offers. 6 – Pay attention to airport arrival and departure times. Make sure to pay attention to the length of your flight and the period of the day when you are flying. If you change time zones you should plan your eating schedule for that time. 7 – Check for delays. Thanks to the Internet, you can see what flights often have delays and avoid those flights. 8 – Avoid traveling on holidays. If it is not urgent, you should avoid flying the day before big holidays, like Thanksgiving or Christmas. It just gets too crowded and you can lose a lot of time. 9 – Check the rating of your seat. There are some websites like seatguru where you can find out how your seat was rated by previous flyers. 10 – Avoid turbulence. It is known that there is more turbulence if you fly later in the day, so if you fear turbulence, choose the morning flights. Also, if you suffer from motion sickness choose seats in front of the wing, they have less engine noise and cause less motion sickness. 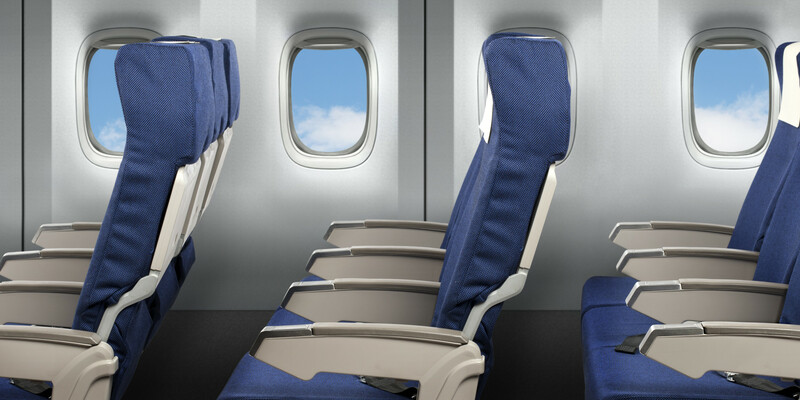 11 – If you travel on an unpopular flight, choose the seat as late as possible. This way you can get a seat that has the rows around you empty and you will have more comfort. 12 – Don’t forget to check the bag weight and size limits. 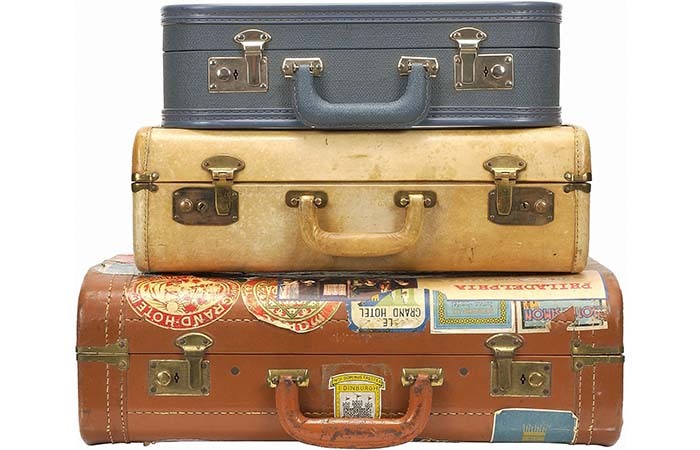 If you don’t want to pay additional fees for larger luggage, make sure to measure it before you leave for the flight. Pay attention to this especially when you have connecting flights with different companies. Each one has its own baggage requirements. 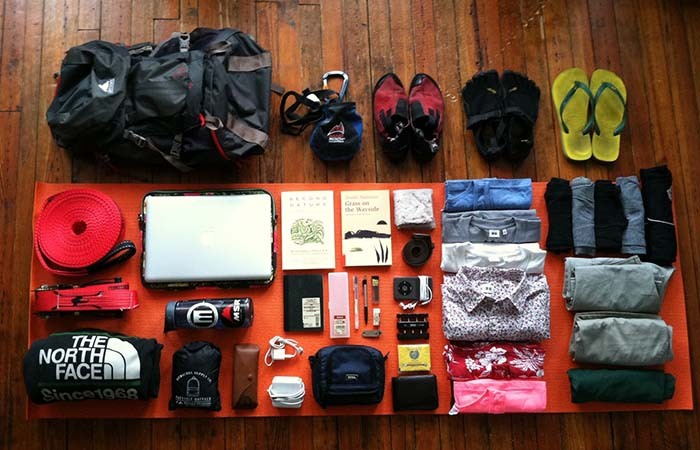 13 – Remember to bring your own flight essentials. Everyone brings some essential stuff with them when they travel like tissues, chargers, hand lotions, headphones, sleeping masks, an extra pair of socks…Don’t forget to bring your own. 14 – Use luggage tags. It is easier to see your bag when you claim it. You can use bright color tags, so the bag can be easily spotted. There are also LED illuminated luggage tags with flashing lights to help you find it quicker. In case you lose your bags, you should use the Return Me tags. 15 – Ship your luggage. This can be a very smart thing to do. 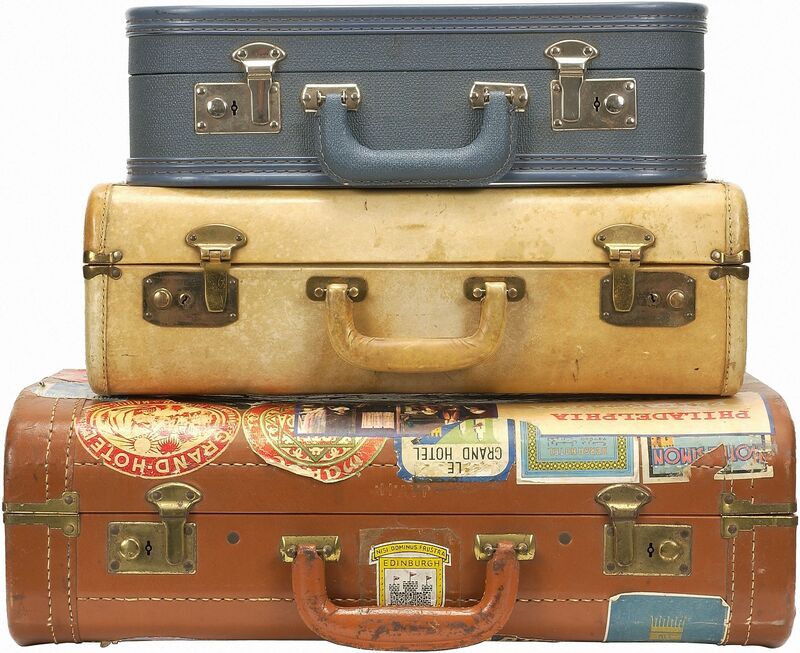 Some luggage fees are higher than the cost of you shipping your luggage before the flight. That way you can bring just a few things with you, that would normally fit in a cabin bag and the rest of your stuff will be waiting for you when you arrive. 16 – Don’t buy heavy and expensive bags. Check the weight of the bag itself and buy the lightest possible one. That way when you have weight limitations, you can leave more space for your stuff. Also, don’t buy very expensive bags because they get tossed and thrown around. 17 – Pay attention to hand luggage. Make sure to measure your hand luggage and see if its fits the requirements. That way you won’t get in a situation where your hand luggage is a bit bigger and you have to pay additional fees for it. Also, if you don’t have too many things to carry, try packing everything in your hand luggage, you will be surprised how many things you can put in there! 18 – Wear your heavy items. If you have heavy items like coats and jackets, you can always wear them and save space in your bags. And if you go over your weight limits, wear as many clothes as you can. 19 – Roll Your Clothes, Don’t fold them. This is a good trick you can use to pack more stuff and you clothes won’t wrinkle much when you roll it. 20 – Pack some snacks. Food at the airport costs a lot. As long as you don’t bring any liquid, you can save money and time by bringing your own snacks and fruits. 21 – Download E-Books. If you like to read often, especially when flying, don’t bother packing books that will take your space and make your bag heavier. Instead download books and magazines you plan on reading. 22 – Foreign currency. 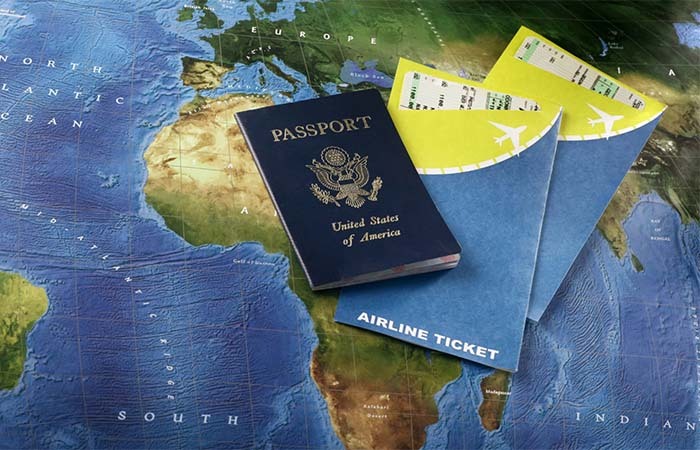 If you travel to a different country, bring any money you have that the country uses. That way you can pay for a taxi, or buy food when you arrive, without exchanging the money at the airport, where the rates are much higher. Also, check if that country has any VAT regulations, and for larger purchases ask for a refund certificate. 23 – Online Check-In. If you are not checking luggage, you can do it online and that way save time when you arrive at the airport. 24 – Take a screenshot of your mobile boarding pass. If you do that you will be safe if your app crashes or you are not signed in to see it. 25 – Go through security as soon as you can. You never know how crowded it will get, so this way you will feel relaxed when you finish the security check. You can then do other things while you wait, like eat or use a restroom. 26 – Pick the left security lane. Most of the people are right-handed, so they subconsciously go to the right security lane. It is useful to know this especially when there are many people waiting. 27 – Use apps to check your flight status. If you don’t want to hang around the terminal monitors, there are apps you can use to check your flight schedule. This can be especially useful when the weather is bad and when there can be possible delays. 28 – Satisfy all bio needs. 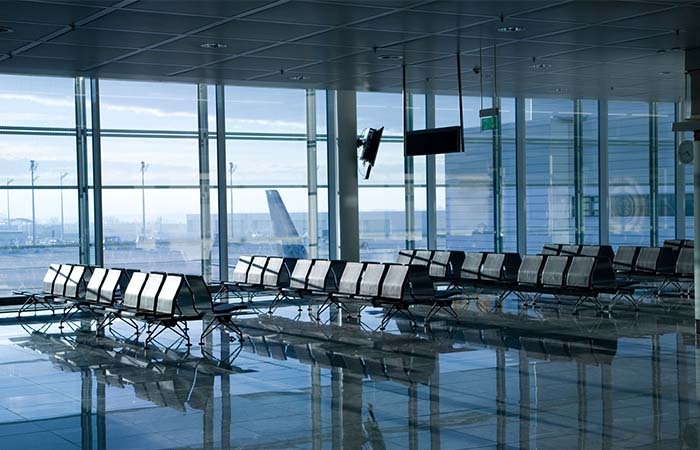 While you wait for your flight, make sure you go to the restroom, get something to drink or to eat. It is the best to do it when you are in the terminal. If you arrive early, or your flight has delays, you will have enough time to do everything, including charging your phone. 29 – Bring extra water onto the plane. You can take an empty water bottle through security and fill it up when you pass it. This way you don’t have to buy it and pay a lot, and when you are in the plane, you don’t have to ask for a cup of water each time you need it. 30 – Be productive. If you don’t have Wi-Fi, use the time to think of something you can do to be productive. You can do some work that can be done without the Internet, you can study or read a book. 31 – Bring your headphones. If you don’t want to engage in a conversation or block out all the annoying sounds don’t forget to bring your headphones or ear plugs. 32 – Get free movies. If there’s no Wi-Fi on the plane, and you have a TV in front of you, try swiping any card you have with you with a magnetic strip. It has to wait for the connection to verify your card, so you can watch free movies until you land. 33 – Order a special meal. On flights that have meals, if you order a special meal, like vegetarian or Kosher, you will get it faster. 34 – When the plane lands, don’t get up right away. Most people do it right away, but you have to wait about 10 minutes to start exiting. 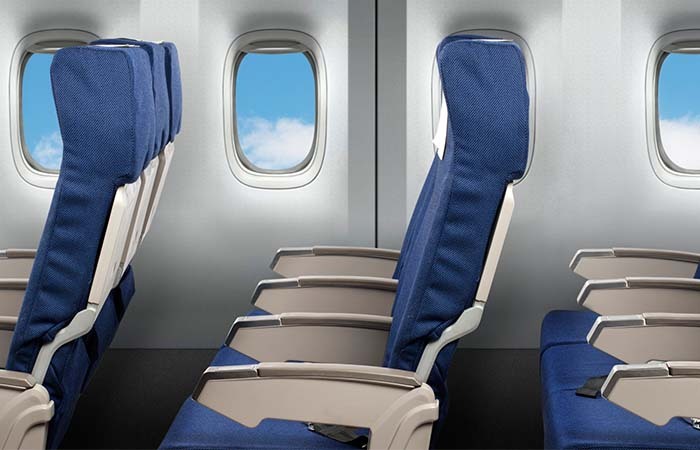 Enjoy the comfort of your seat as long as you can and avoid standing in a line. 35 – Pack low-sugar snacks and games for kids. Children love snacks, so if you don’t want to pay a fortune buying them on the plane, bring your own. 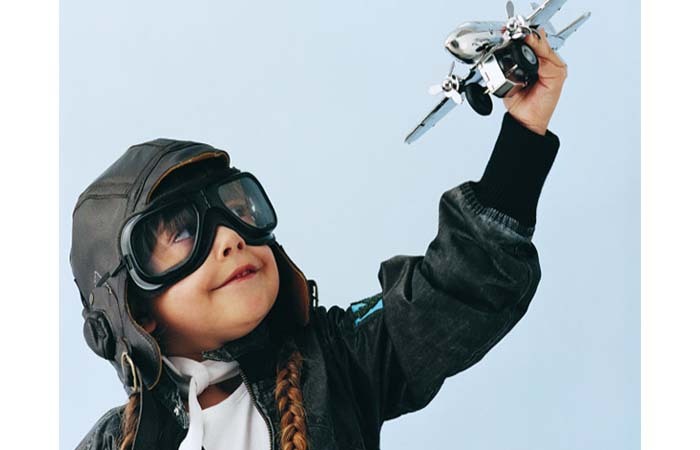 Also, pack toys, electronic games, coloring books and crayons so you can hold your kids attention while flying. 36 – Don’t choose the seat next to the window. This way you should be able to get up easier and go to the bathroom if your kids need to use it often, or they make a mess and you have to clean it up. 37 – Carry medical supplies. Carry everything your kid might need like ibuprofen, motion sickness pills, band aids, disinfectant wipes. 38 – Bring a scarf and clothes pins. This way you can make a little tent where your kid can easily fall asleep and sleep longer.